For years, a favorite family weekend trip was driving to Salado to stay at the Stagecoach Inn. Not only was this historic hotel the oldest in Texas, there were lots of fun things to do in Salado. Main Street was packed with clothing boutiques, antique stores and other fun-to-browse places. Plus the Stagecoach Inn restaurant served delicious southern-style food, boarding house style. Stagecoach Inn opened in 1861 as the Shady Villa Hotel on the banks of Salado Creek. It was the oldest, continuously operating hotel in Texas, hosting guests like Sam Houston, Robert E. Lee, George Custer, Shanghai Pierce, Sam Bass and Jesse James. Dion and Ruth Van Bibber opened the Stagecoach Inn restaurant in 1943 in the former Shady Villa Hotel fronting on Main Street. For many years the Stagecoach Inn was one of the most renowned highway restaurants in the country. Sadly, lengthy construction on I-35 South made it nearly impossible to reach the city for several years. 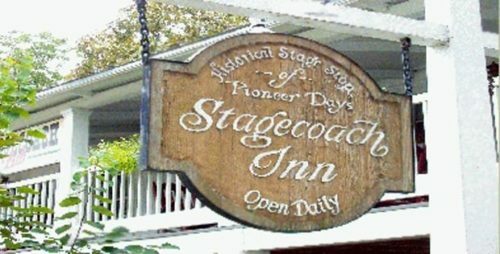 During that time the Stagecoach Inn shut its doors, and while the restaurant lingered a little longer, eventually it was also forced to shut down. Encouraged when construction crews finally left Salado’s stretch of I-35 so you can actually exit the freeway there, I decided to spend a recent Saturday there with my son and his wife. First stop: lunch at the recently re-opened Stagecoach Inn restaurant. I was thrilled to find the restaurant still looks the same, but disheartened to find we were there at the wrong time. We weren’t able to experience the family-style meals we’d anticipated. Saturday lunch is a brunch affair, with everything on the menu ala carte. While we were disappointed in not having our anticipated meal at the Stagecoach Inn, the pimento cheese sandwiches we ordered were delicious. 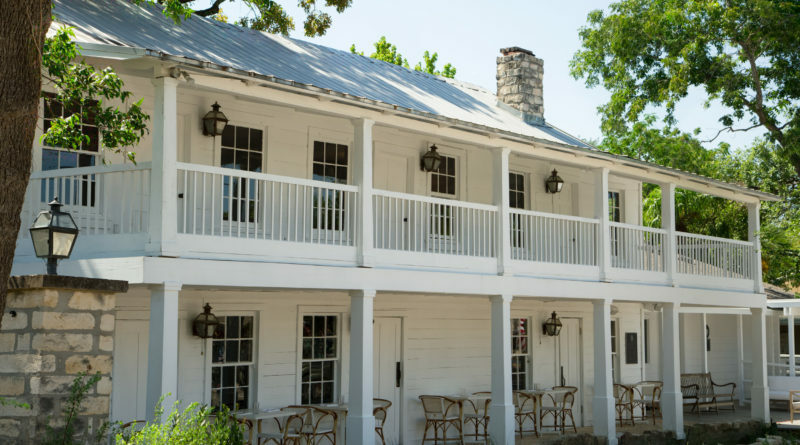 The Stagecoach Inn’s new owners, Developers Clark Lyda, Austin Pfiester, and David Hays collaborated with Austin-based La Corsha Hospitality Group, led by Founder and President Jeff Trigger, to restore the landmarked property – updating the building’s systems while repairing and maintaining the 1860-era structure’s historic charm. 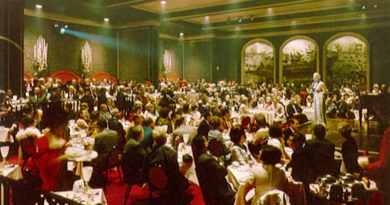 They will renovate and expand the hotel to 120 rooms and 10,000 square feet of meeting space. They also plan to move the hotel entrance and reception area to Main Street and heavily landscape along I-35 to provide a buffer for the highway noise. They are also planning to add outdoor event spaces and a new mineral pool and spa. They also plan to connect Stagecoach with the landmark Salado Creek and trails. We visited a number of charming stores and art galleries scattered along and around Main Street. 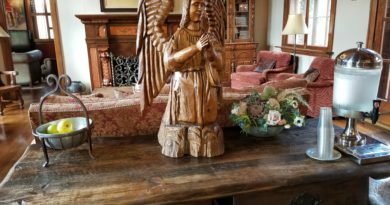 We spent hours browsing the Springhill Gallery, Springhouse Emporium, OoLaLa, The Nest, Watermill Market, The Mustard Seed Butik, Howling Wolff, and the Shoppes on Main (5,000 square feet of shopping with 25 separate shops in one location). 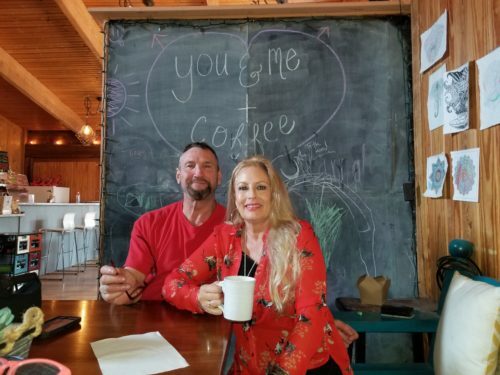 My son and daughter-in-law especially loved a cool coffee shop, the Strawberry Patch. It’s great to see that Salado still celebrates artists and craftsmen, with more events and galleries planned. Royal Street Art Walk showcases galleries along with live music March 23. Salado Sip N’ Shop on Main Street is also March 23. Texas Wine & Rogue Art Fest will be March 24-25 at the Salado Winery Co. on Main Street. 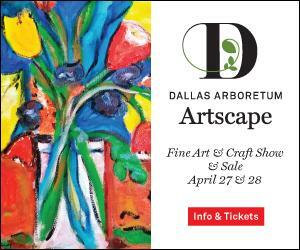 Wildflower Art Show, sponsored by the chamber (visitsalado.com), is also March 24-25. Gary Whitaker and four other story tellers perform at Tablerock’s Goodnight Amphitheater. While Salado is not yet back to those good old days I remember so fondly, it is definitely headed in the right direction.